KitMonsters – Roland JD-800 Synth. The music makers’ guide to making music. This digital synth from the 1990s is highly programmable with sliders and knobs for patch editing. 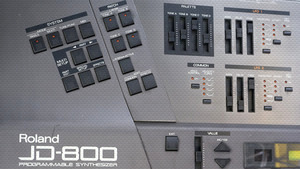 Roland claimed it was getting back to its roots with the JD-800 and allowing musicians to create their own sounds more easily. 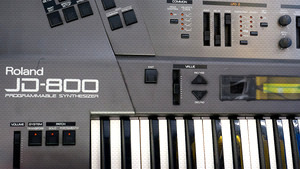 The JD-800 combines sample playback with digital synthesis, and is based on the Roland D-50. It has 108 waveforms built-in, that can be expanded via PCM-cards, and come in categories, such as analogue synth, or acoustic instruments, like guitars, woodwind, brass and voices. Users include New Order, Depeche Mode, The Prodigy and Coldcut.